The plan would create a sliding rate scale based on the length of an investment. Presidential contender Hillary Clinton’s proposed plan to overhaul capital gains taxes aims to foster long-term growth by taxing some short-term investments at higher rates, an aide for her campaign said on Monday. Although details of the plan have yet to be finalized, it would create a sliding rate scale based on the length of an investment, an aide with the Democratic candidate’s campaign said. Under her proposal, first reported by the Wall Street Journal, the maximum capital gains tax rate on investments held at least a year, currently 23.8%, would rise to at least the 28% proposed by President Barack Obama, the aide said. The campaign has not ruled out raising it as high as the regular income tax rate, which can be as high as 39.6% for top earners, the Journal reported. Details of the plan will be outlined in a speech later this week, the WSJ said. Clinton’s proposal comes as part of her plan to fight an excessive focus on quick profits in capital markets, including capital gains, which are the profits made on selling capital assets such as shares or real estate. In a speech last week in New York, the Democratic front-runner blasted Wall Street and took aim at financial institutions, vowing tougher oversight in her first major economic speech of the 2016 election campaign. Clinton’s plan to revamp such rates appears to be a shift from her position in 2008, when she last sought the party’s nomination and vowed not to raise capital gains tax rates above 20%, if at all. In 1997, her husband, President Bill Clinton, lowered the maximum taxation rate on capital gains from 28% to 20%. In 2003, it fell to 15 percent under President George W. Bush. In 2012, the top capital gains taxation rate rose to 20% for the highest earners. In the 1970s, the maximum taxation rate for long-term capital gains reached nearly 40%. 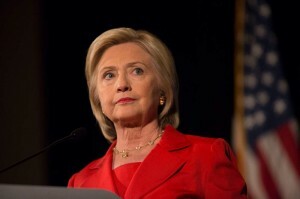 Although Clinton, who along with her husband have deep ties to Wall Street, is the party’s leading presidential candidate, she still faces some pressure from liberal Democrats, such as fellow candidate U.S. Senator Bernie Sanders of Vermont, who want tougher regulations on the financial industry.